Platemaking ink used in lithography is made of pigment and linseed oil and used in lithograph printing plates. Platemaking ink reinforces the lipophilicity in parts that have been drawn with crayon and tusche and also protects those parts from the acids in platemaking and etching solutions. When storing the plate, replacing the printing ink with platemaking ink will prevent the drawn areas from drying out. The ingredients comprise carbon black, linseed oil and a drying control chemical additive and, because the particles are finer than those in printing ink, they enable subtle changes in tone to be reproduced when loading ink into the plate surface. When packing platemaking ink to the plate, pour an appropriate amount of ink onto the pad, mix it thoroughly with a spatula, coat the ink evenly onto a suede roller for printing and apply the ink with the roller while moistening the plate. 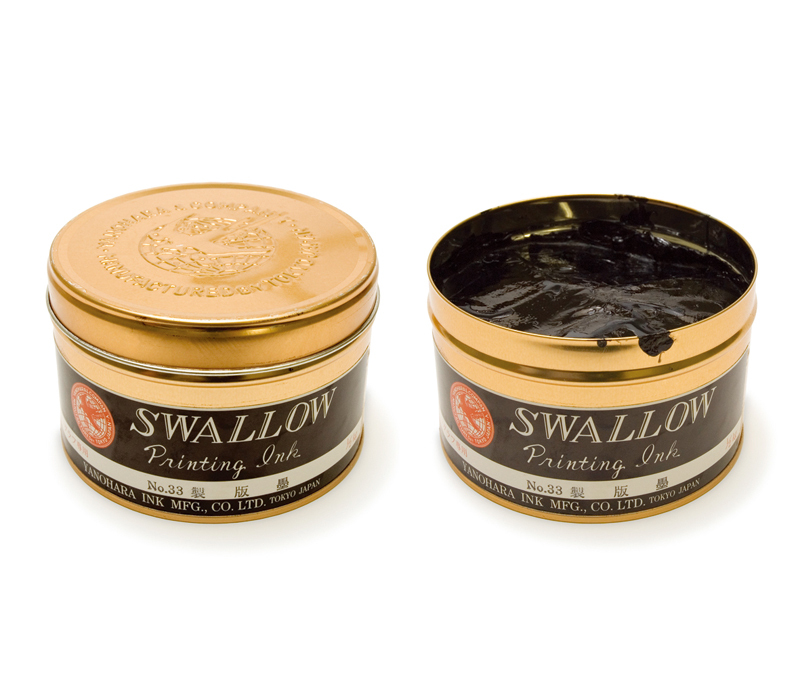 Platemaking ink can be purchased at art supply stores that handling printing supplies.